Safe@Home by Safe Sitter® is a program designed for students in grades 4-6 to prepare them to be safe when they are home alone. The program is designed to enable any adult that enjoys teaching preteens to facilitate an introductory level program to prepare students to care for themselves when parents are away for short periods of time. 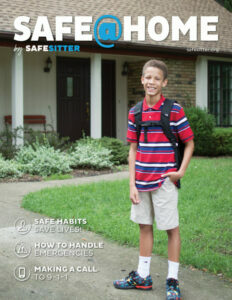 A Safe@Home student booklet ($10) is required for each student. Safe@Home is a 90-minute program that teaches students how to practice safe habits, how to prevent unsafe situations, and what to do when faced with dangers such as power failures or weather emergencies. Students are also introduced to the Safe Sitter® First Aid Chart and learn a system to help them assess and respond to injuries and illnesses.